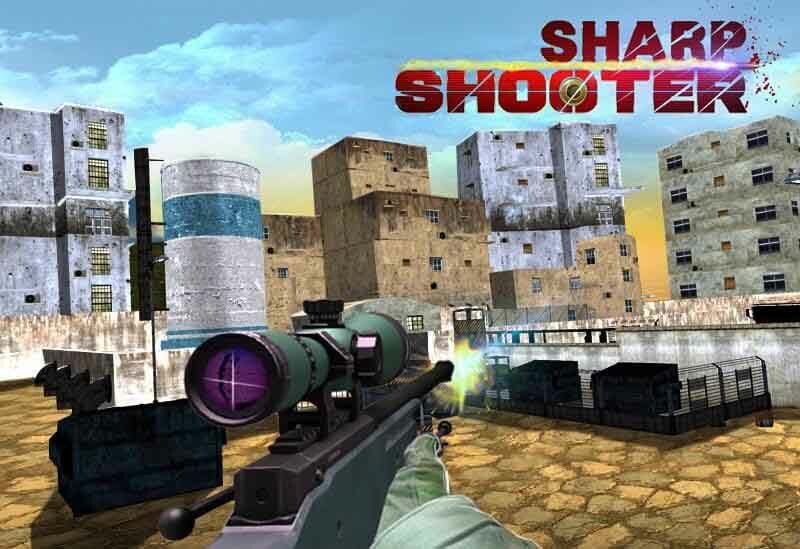 Sharp Shooter - welcomes you to an Epic gun shoot war with mesmerizing 3D backgrounds and passionate frontline shooting gameplay. If you consider yourself the master for the FPS games with new guns, this game is a real challenge for you to prove your Sniper. Play while being in the mid of the extreme combat zone. Don’t take it easy; your task is not that simple as your enemies are built with artificial intelligence. Now get ready: the best sniper weapons are awaiting, hand-pick your favorite guns and do kill shots. Be very precise before you take a shot, as your available bullets are limited. Sharp Shooter is not a simple game. It’s all about a war between your Gun and Blood and your most hated enemy. With a second of concentration you can destroy your pray completely. Sharp Shooter is a free game brought to you by Multi Touch Games, the creators of the Shooting Contract, Frontier Target Sniper and Goat Simulator and many other Shooting and Simulator games. Sharp Shooter: install APK and play the game.